What's A Realistic Expectation for ADSL2 services? Forums › New Zealand Broadband › What's A Realistic Expectation for ADSL2 services? It looks like we've had ADSL 2 enabled here. My router is showing the following. This looks really impressive, but with my current ISP my international downloads are reporting on average about 2 MBPS and uploads are at about 256 KBPS. This is with a max/max plan. With the connection appearing so impressive, should I expect more, and am i likely to get faster speeds if I change to another ISP? I guess what I'm asking is if I'm being constrained by my ISP's bandwidth given that the connection looks so good. Thanks and merry Christmas all. This seems to be the speed from the modem to the Exchange... And what about from there? And then reality settles in... How can people take advantage of such faster speeds, if the ISPs underinvested in infrastructure and bandwidth availability? freitasm: This seems to be the speed from the modem to the Exchange... And what about from there? Right. I realise I'm not going to get anywhere close to those speeds, but there seems like a huge deficit here and that's why I wonder if I change ISPs, whether I'll be better off. I am with Orcon at the moment, so I was interested in the updated stats published yesterday about performance, since I sure don't seem to be enjoying anything flash. 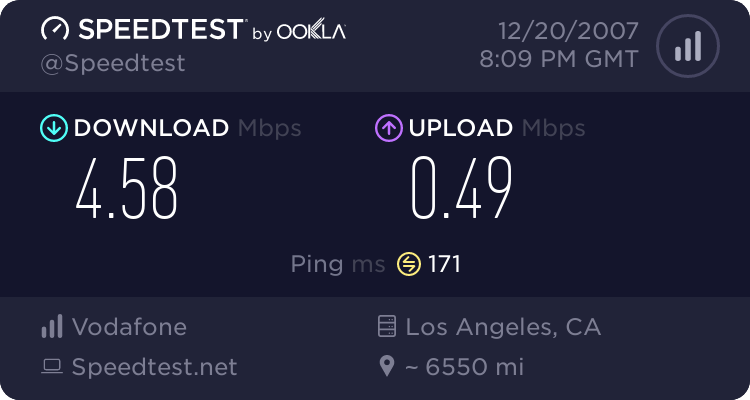 jmosen: With the connection appearing so impressive, should I expect more, and am i likely to get faster speeds if I change to another ISP? Actually one interesting thing is that last week, I downloaded the office 2007 SP1. I presume this is being cached locally somewhere, but i was getting over 10 MBPS on this download. 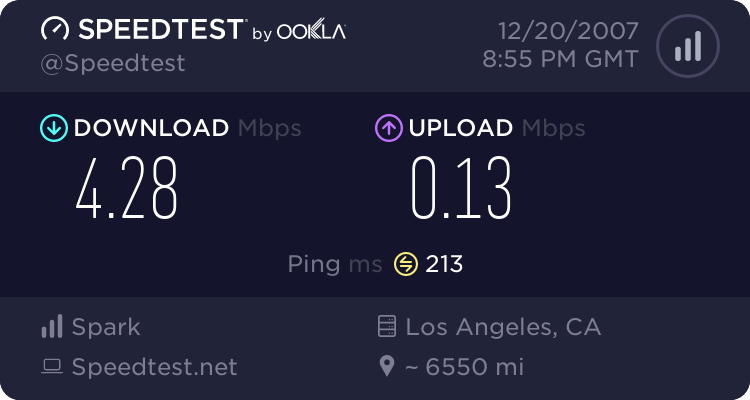 this suggests to me that I'm capable of getting much better speeds than I am getting, and I'm being short changed on bandwidth. Hmmm that rules out being on a cabinet then - what speed to you get doing a speedtest on www.nzdsl.co.nz ? willnz: Hmmm that rules out being on a cabinet then - what speed to you get doing a speedtest on www.nzdsl.co.nz ? Can't tell you sadly. that site is useless to me. I'm totally blind and they use lots of Flash that doesn't have text labels for the buttons, so I can't even initiate the test there. which means you can download at 1029.15 KB/sec. from our servers. OK so this would be consistent with the kind of download I was getting with the Office Service Pack. And it would suggest that international bandwidth with Orcon here is pretty bad.